Nestiny Funiversity - Did you know the Government has power over YOUR property? Owning property gives you some basic ownership rights, including the right to possession, the right to control your property within legal limits, the right of quiet enjoyment, the right to exclude others from your property, the right to encumber the property by lessoning the rights of one’s ownership, and the right to dispose of the property (sell, transfer, will, etc.). The government also holds rights, or powers over your real estate property because it needs to ensure that you do not infringe on the rights of others. It also needs regulations in place for numerous situations that we will discuss further. 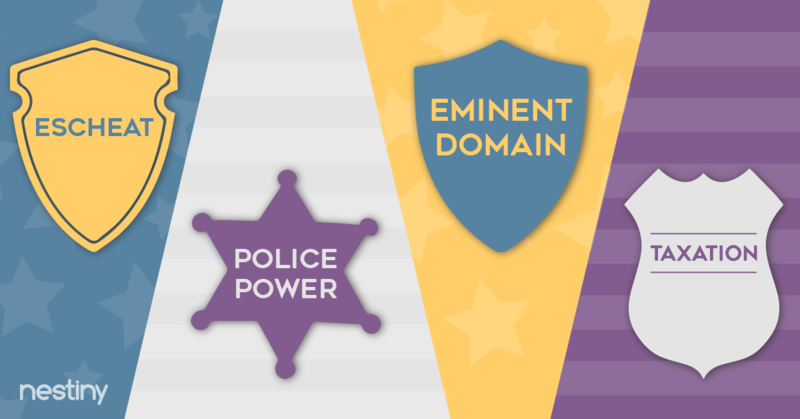 These government powers can fall into four main categories: Police Power, Eminent Domain, Escheat, and Taxation. Police Power is derived from the “police power” clause in the federal and state constitutions that provides for the government’s authority to make laws and regulations to the conduct and property of individual real estate owners to promote and support the public health, safety, morals, aesthetic beauty, and general welfare of the public. Zoning- where the government divides a city or county into different zones, and regulates land use, design, improvements, height of buildings, setbacks, and more. Zoning is the primary tool for implementing Master Plans, which shows current and projected zoning patterns within a city or county. The government enforces zoning by issuing building permits. The Zoning Administration has the power to allow variances or issue conditional use permits on individual cases, and can even consider rezoning. But for the most part, zoning is put in place to provide uniformity and fairness. The four main land-use zoning codes boil down to commercial, industrial, residential, and agricultural. Sometimes it is a mix of these, and would then be labeled mixed-use. Building Codes- minimum standards of construction in plumbing, electrical, load limits, materials, etc. Building codes are enforced by local governments with building permits and inspections during and after completion. Once complete, a certificate of occupancy is issued, stating that the space has met all the building code standards and may be occupied. Subdivision Regulations- The health department may enforce standards for septic systems or wells where public sewer and water is available. Lot sizes could be regulated, as a plat map must be filed for approval. Other restrictions will also be regulated, such as setbacks, height requirements, etc. Regulation of Special Land- areas such as flood zones and areas prone to natural disasters may have another set of regulations to follow as well. Housing Codes- This establishes acceptable minimum housing standards for safe and healthy occupancy of existing and newly constructed buildings. 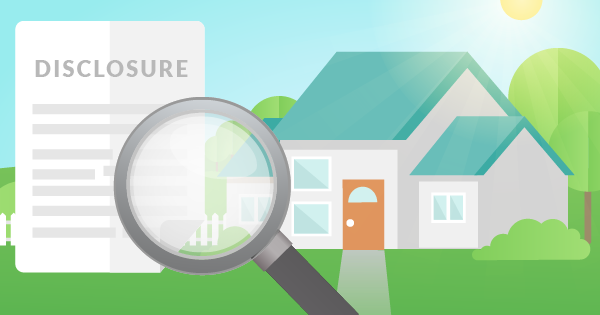 Housing codes encompass the condition and structural quality of the building. The government can fine the owner and require them to pay the cost of the repair if major repairs are needed, certain facilities such as running water or a commode is missing, here is lead-based paint, unprotected stairways, or other serious concerns. The owner may have to obtain a building permit and a certificate of occupancy when completed. Environmental Impact- if a project may have a huge impact on the environment, an Environmental Impact Report may be required for the planning commission to know the facts prior to approving the project. This report will recommend steps to minimize impact and suggest alternatives. Police Power includes the right to regulate pollution and environmental control. 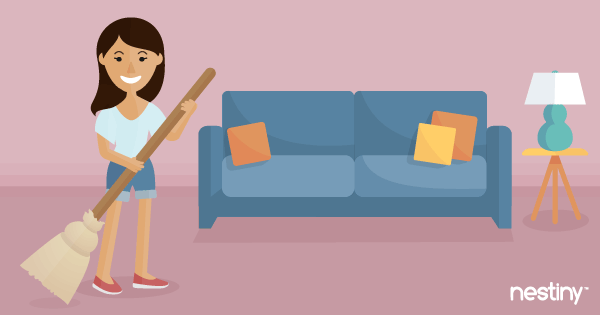 Police power regulates the use of an individual’s property, and no compensation is required. However, if it goes too far and is recognized as “taking” the property through eminent domain, then the state must pay just compensation. Eminent Domain refers to the right or power of the government, both state and federal, public corporations, public utilities, and public service corporations to take a citizen’s private property, or to take their rights in their property, as long as it is taken for government or public use. This is done without the owner’s consent, but with just compensation paid to the owner. The most common use of eminent domain is taking land to add railroads, public utilities, and streets or highways. Once owned by the government, all previous liens and encumbrances are relieved. If the government and the owner cannot settle on a voluntary acquisition of the property, the government can initiate condemnation — a lawsuit initiated by the government against a private property owner who fails to consent to the government taking their property through eminent domain, in order to find just compensation. Eminent Domain is the power to take property, and condemnation is the procedure the government uses to exercise this right. Sometimes the government imposes regulations that make it so that a landowner is unable to use their property, or severely lessens the value of the property, in which case a property owner can initiate proceedings, saying the government has taken his property without paying just compensation. This is called inverse condemnation. 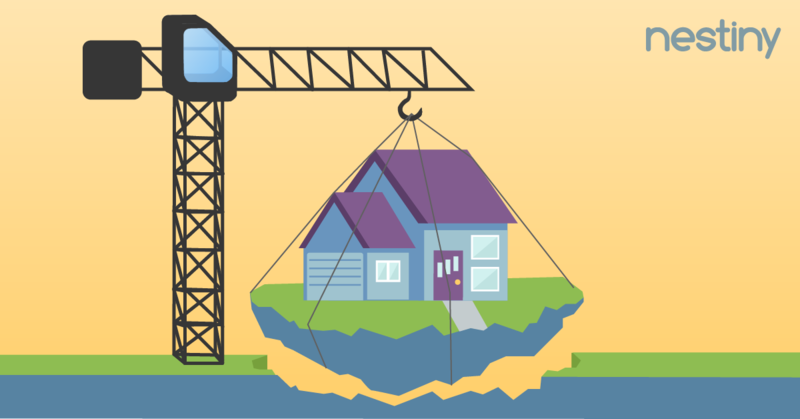 Compensation is determined by market value of the property, and then consideration is given to losses taken by the owner in the process of the government exercising eminent domain. With eminent domain, no private property is exempt from this exercise of government power. However; you are entitled to due process of law. In some cases, the right to take a property may be challenged by the owner on the grounds that the attempted taking is not for public use, if the compensation is not just, or if the government is trying to take the entire property when only a portion is needed. Legislature or the courts will decide what is considered public use, purpose or benefit. Escheat is government powers that cause unclaimed property to transfer to the state. It usually occurs when a home owner dies without a will and without any known heirs (relatives). The power of escheat is put in place so that properties do not become ownerless, but is revocable in case an heir is located. The market value is determined by the county, then the county determines their budget. At this point, the tax is then determined as a rate needed to meet this budget. Some of this terminology may seem overwhelming so please consult with your licensed Realtor if you have deeper questions. And in general, as long as you know your rights, and understand the rights and powers that the government may have over property that you own, you can feel comfortable making your home purchase with your eyes wide open. Interested in learning more about home buying, too? 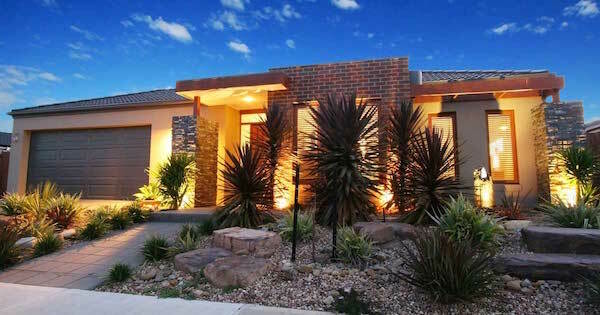 Nestiny is a great place for homebuyer education and to help you gauge how ready you are to buy a home. Journey Homeward allows you to enter all your wants and needs while the True Affordability Tool will break down your budget, showing what you can comfortably afford. You will also receive a Ready Report that will give you a vital head start in the home buying journey, saving you valuable time and money.